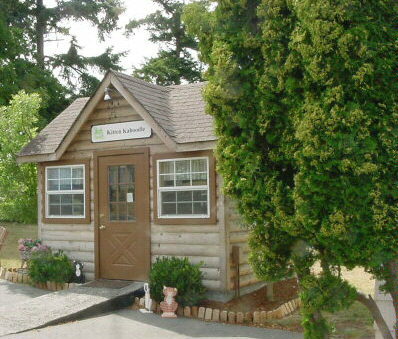 In 1999 Kitten Kaboodle opened it’s first Cat Toy Shop in Coupeville, Washington. It is located at 302-A N. Main right across from St. Mary's Catholic Church. What used to be the old Chamber of Commerce Building is now Coupeville’s FIRST and ONLY Cat Toy Shop! 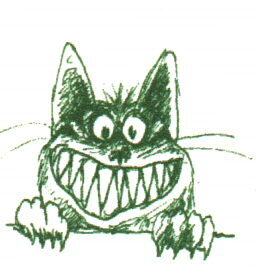 "I made my first Catnip Mouse back in 1985 when I opened a commercial mouse I bought in a grocery store to see just how much catnip was inside. I was horrified at finding sticks and dirty cotton filling that mouse. From that day forward I decided to make my own Catnip Mice. Friends and neighbors saw my mice and wanted them then soon after my move to Whidbey Island I decided to sell at the Coupeville Farmer’s Market. From a small card table we advanced to a 10X10 EZ Up canopy and finally to our shop on the main street of Coupeville." The Christmas Season starts at the end of October and our "travelling" location will be posted at the shop. There are many toys for your Cat’s pleasure on this web site. But we are always open to suggestions so feel free to drop us a note or an email if you know of a new toy you would like developed. Many of our toys came from customer's suggestions.